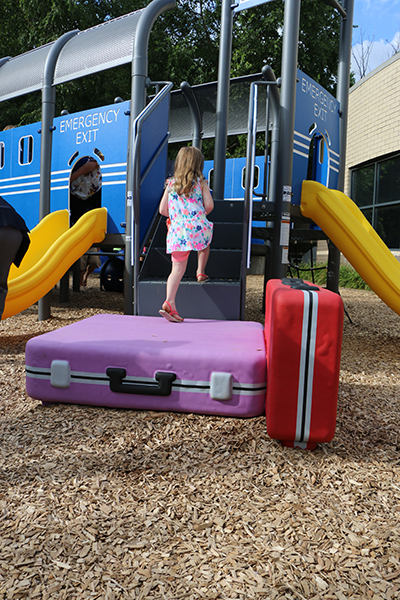 Sometimes kids just need to get outside! 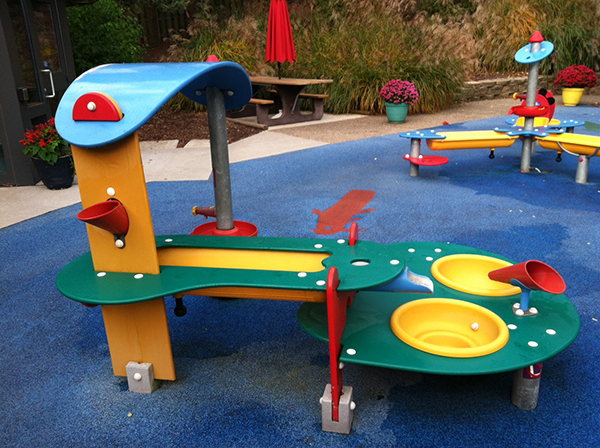 We offer a lovely outdoor play area complete with a private playground and a summertime waterplay area. 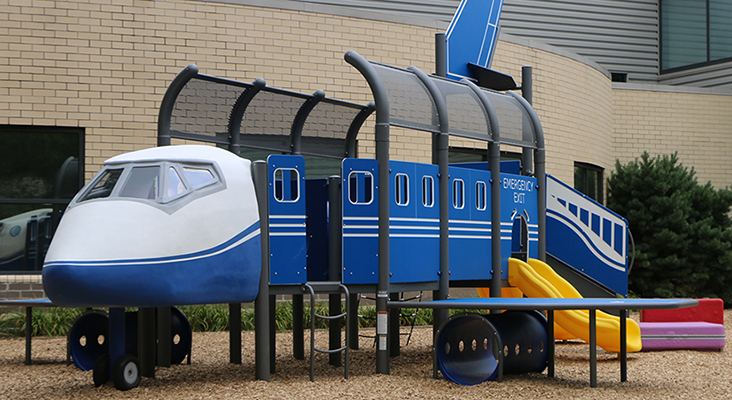 Pretend to take a flight wherever your imagination takes you with our Sky's the Limit outdoor play area. Eat a picnic lunch, play in the civil war tent, or look for birds in the nature lodge. 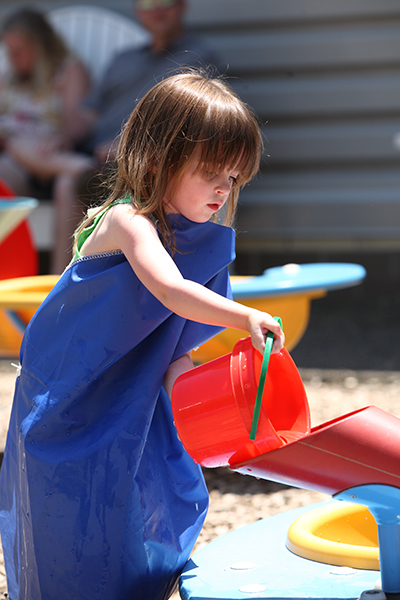 Our outdoor area is open all year, but the waterplay area is only open during the warm months.